Buy this now. The current price is great. If you wait, the price may increase. New from Skytec, this new addition to the SPL series of amplifiers gives the user more flexibility, more control and ultimate versatility. The 2-channel stereo amp features on-board MP3 player which works via connection of a USB stick or mobile phone SD card with your music stored on there, and when connected to a pair of speakers it will play your music directly from either of those storage devices. Going completely wireless; the amp also has a built-in bluetooth receiver where you can stream your music directly. If you have a bluetooth device on your smart phone or laptop, you can send the music to the amplifier without any cables or wires. These things need to be simpler for us with our busy lifestyles after all!With RCA inputs at the back panel you can connect up the TV, CD player or laptop directly instead of using the wireless function, so no problem there. 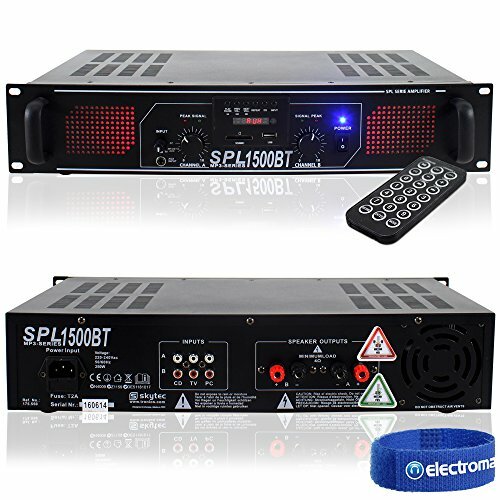 The amp is suitable for pub gigs, house party systems, small DJ venues and PA purposes. It's 19" rack mountable using up 2 units of space and has binding posts to connect up speakers. 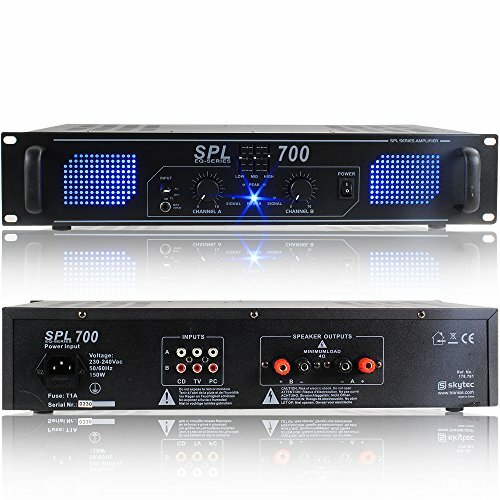 A quality, affordable multi-purpose amp for the busy DJ or home-end user.